I am finally on the mend, and am beginning to show life again. As is our wonderful city. It truly is spring! You wanna know how I know? 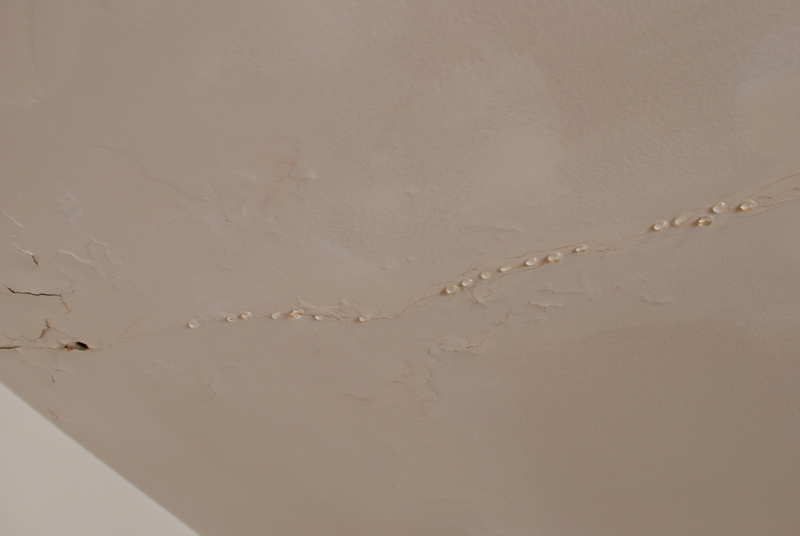 My ceiling is leaking… A LOT! 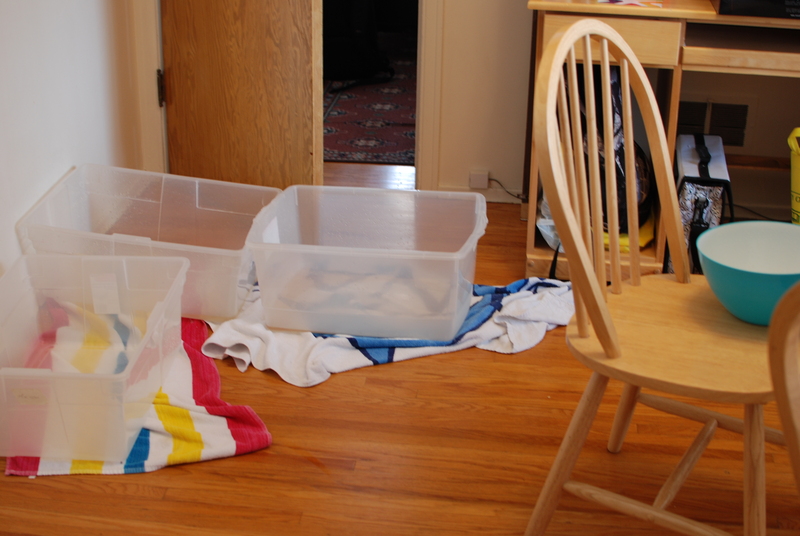 I came home to a shower in my dinning room one day this week, and I felt the need to share some photos. Yes, this is my beautiful Garneau Home. I love the kitchen, and thank God it doesn’t leak in there! It’s enough to have fear that the roof will cave in in two rooms… Sheesh! Thank God it’s almost fully spring, and my Landlord will get the roof fixed once and for all! Anyway, on to the recipe. 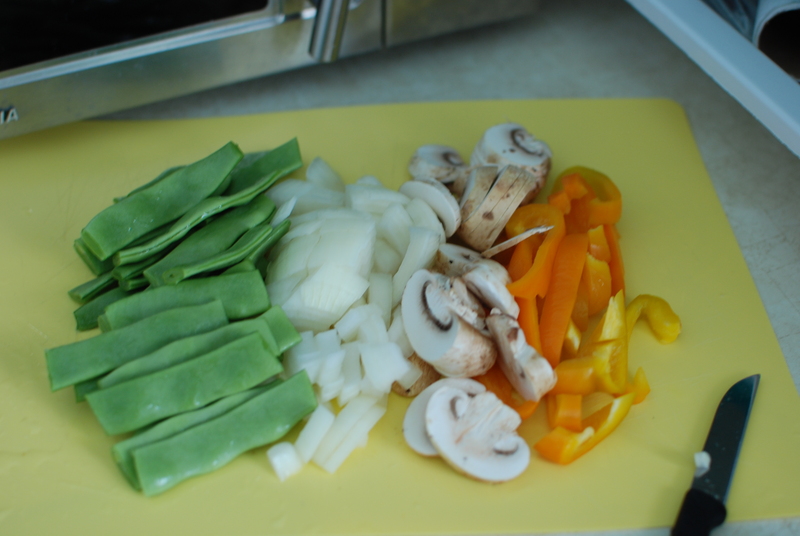 Stir fry has been a staple food of mine for years. It’s such a versatile meal! You can add any protein, any vegetable, and any sauce. It’s the perfect meal for a “cleaning out the fridge” kind of evening. I love stir fry! This time, I decided to spice up my regular stir fry by adding curry paste and using wild rice from Eat Local First’s Good Food Box. This was good stir fry!! 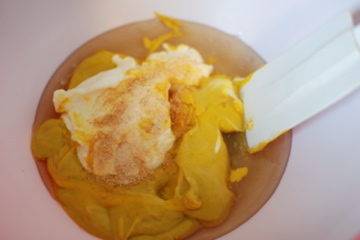 I began by cooking up a bit of the curry paste with a teeny bit of cooking oil, to bring out the flavour. 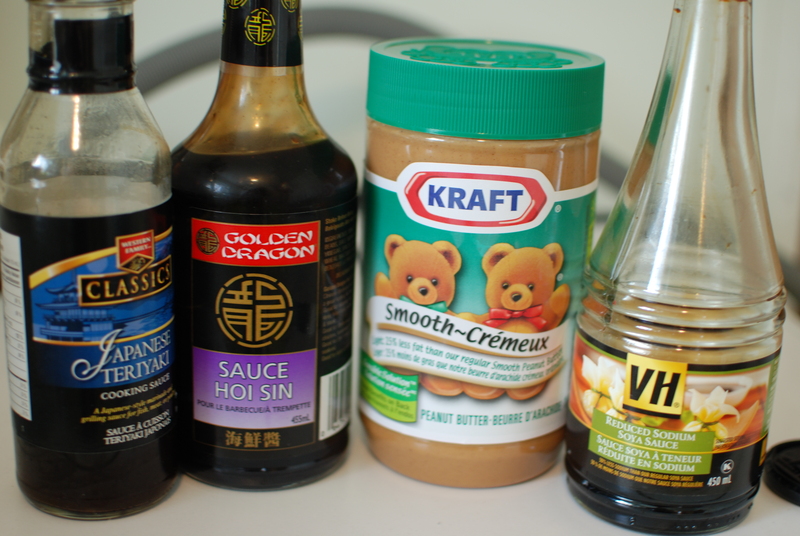 Then I mixed the rest of the sauce, with equal parts teriyaki sauce, hoisin sauce, peanut butter and soy sauce. Yum! I let it simmer a bit with the curry paste, before adding the beef. Then I added the veggies. Hmm, I love veggies! Of course, we made too much. It is a curse of mine. I always make too much rice/pasta. Oh well! Leftovers! Ta da! 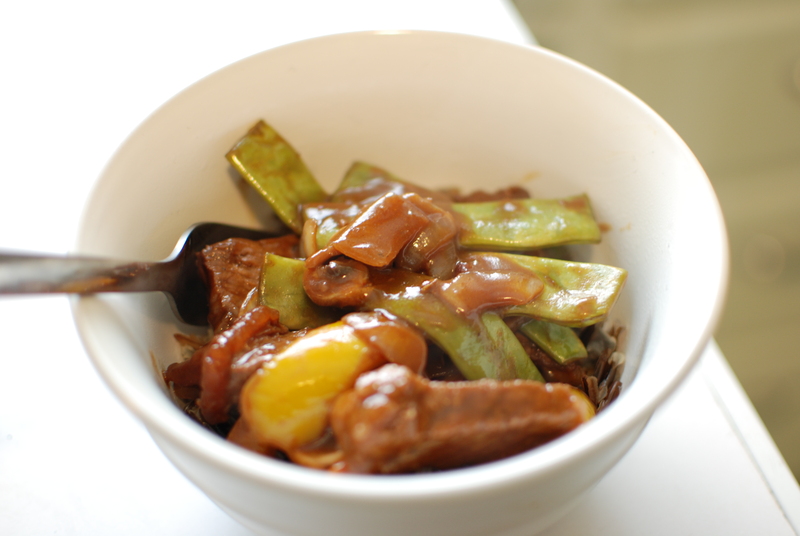 Delicious Stir fry! Enjoy! For the sauce, heat and cook the curry paste with a tiny bit of cooking oil, until you can smell the flavors being let loose. Then add the rest of the ingredients to make the sauce, cook together until well combined. 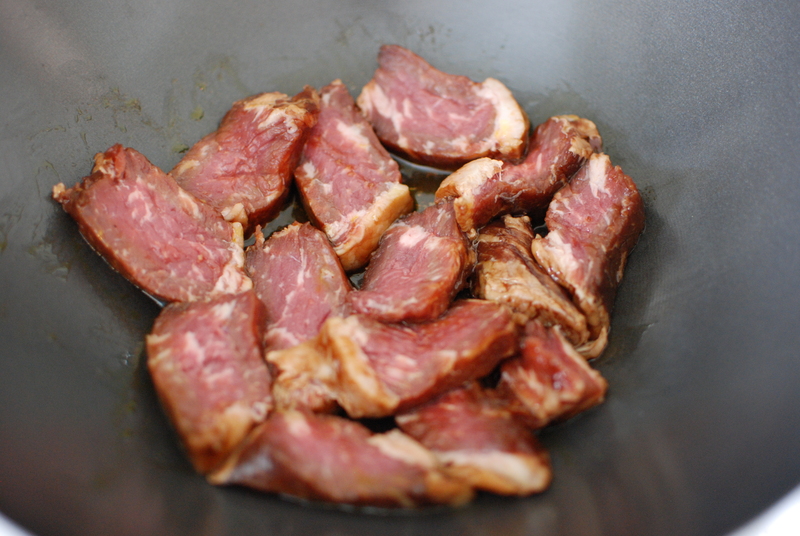 Slice up the steak and let brown (don’t forget to flip them), until cooked to desired tenderness. Add the veggies and cook until just crispy. 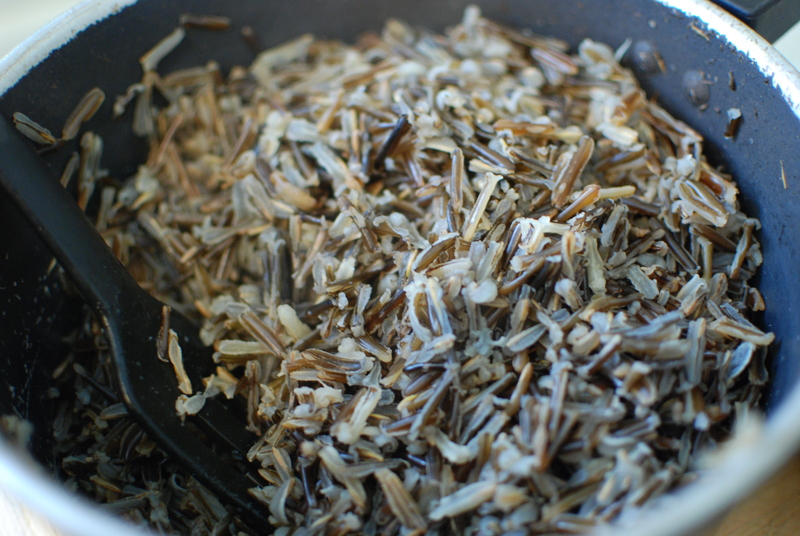 Cook wild rice as per instructions on the package. Make sure to give yourself extra time to cook rice! Takes almost an hour to cook fully!! I made these on the weekend for Justin and I. 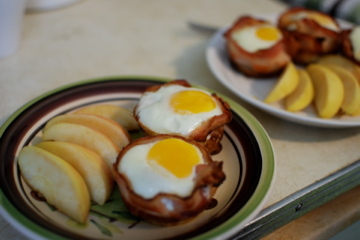 They were a nice take on the classic breakfast staple of bacon and eggs. First things first, cut out a toast circle using a cookie cutter (or in our case, a shot class), for the cup base. 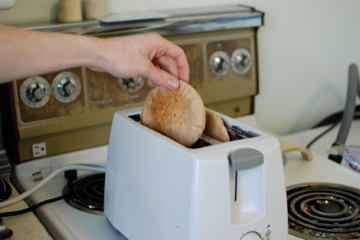 Then place the toast bits in the bottom of a muffin tin. 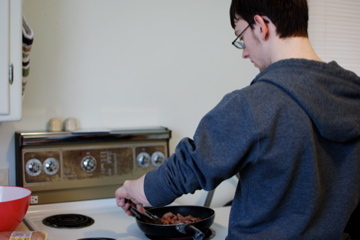 Fry up some bacon in a pan until its still soft, then line the cups with the bacon strips. Tada!! These are a genius easy breakfast creation! Enjoy! 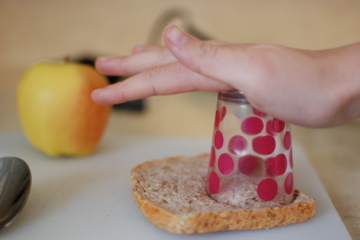 Using the top of a round glass that has an opening slightly bigger than a muffin mold, about 3.5 inches, cut circles from bread. You should be able to cut two circles per slice of bread. Grease four muffin molds. Place the bread on the bottom of each muffin mold. Preheat the oven to 400F. 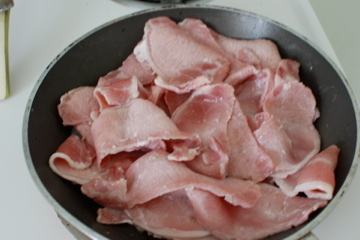 Cook bacon slices in a pan about 3 minutes or until halfway cooked. 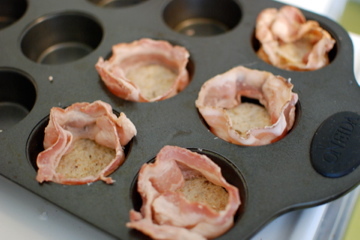 Place bacon slices around the edges of the muffin tin. To help them stay, you might want to tuck the ends underneath the slices of bread. Crack an egg and put in the middle of each muffin mold. You may want to leave out some of the egg white so that the yolk doesn’t overcook while waiting for the egg white to cook. 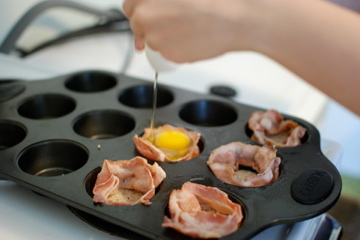 Place muffin molds in the oven and cook for about 12-15 minutes until eggs are cooked to your liking and bacon is crisp. 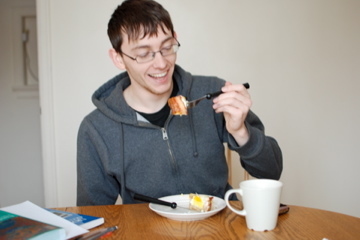 I like to leave the egg yolk a little runny. 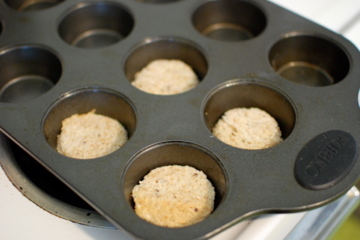 Use a knife around the edges to help lift cups from the muffin mold. Season with salt and pepper and serve while hot. I’m taking a sick day today because my throat is all scratchy and I feel like I will soon loose my voice. 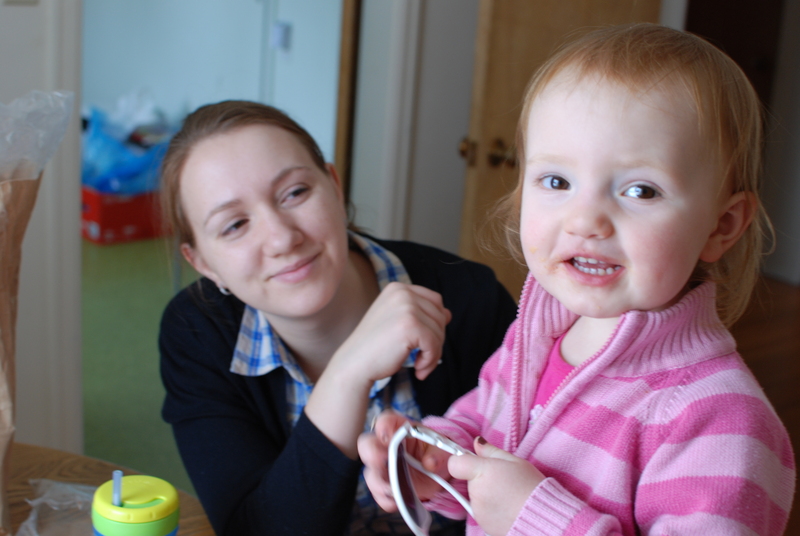 Blah, stupid March… But it’s ok because it gives me a chance to catch up on my blogging! 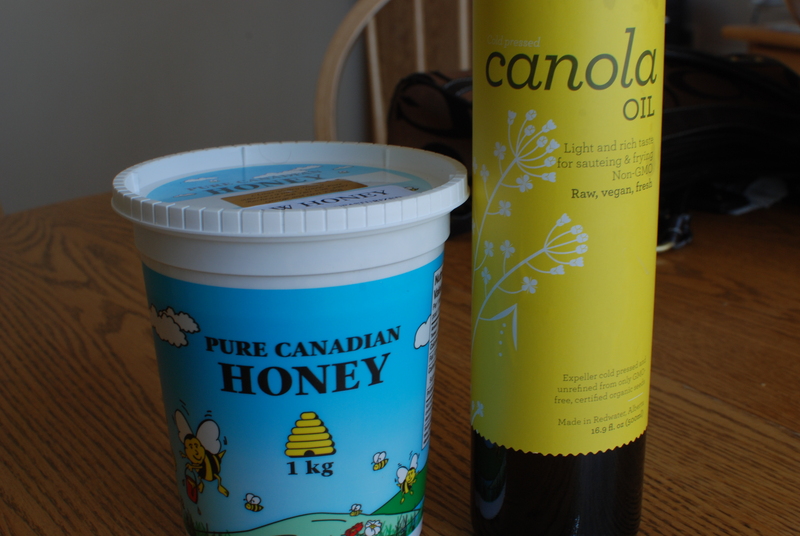 I used local Alberta honey. Now I have to say this about honey: I normally have an intense hatred for the substance. It’s sticky, sickeningly sweet, it’s got a goopy texture. All around, I’ve never found honey appealing. This may also have stemmed from working in a tea house for two years, where, if you drop a teaspoon of honey on any work surface, a half hour later its in your hair and on the bottom of your shoe… I digress… This honey is worth the sticky goopy mess! It’s tasty and sweet, but not too sweet. Its also not pasteurized, leaving tasty little honey kernels in the silky liquid. I like this honey, enough so to get over my intense dislike for the stuff, and to use it in this delicious recipe! Tada! 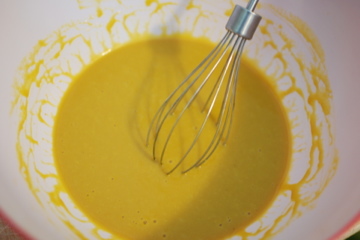 Whisked, perfect sauce. Make sure to make a lot. You’ll want leftovers. 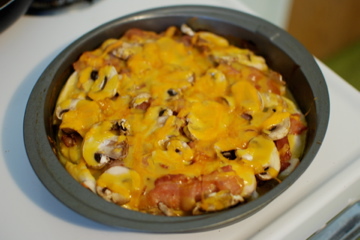 We embellished on the recipe a bit, and added bacon and mushrooms to the chicken. Trust me, the extra effort is worth it. First things first! Spray your chicken pan. 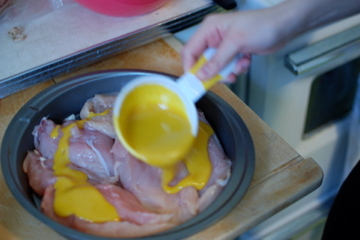 Then lay the chicken down in thin strips, and add a layer of sauce. 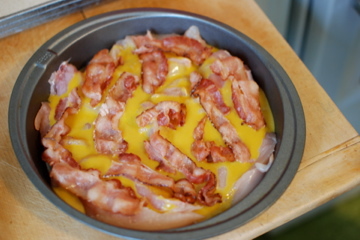 Then cover it with strips of Bacon. 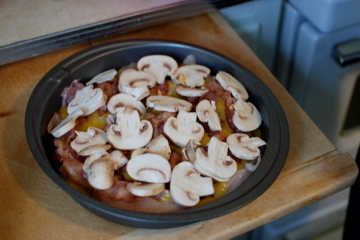 Then cover it with mushrooms. Then sprinkle it with cheese. Then add even more sauce! hmm! Bake for a half hour – 45 mins on 350. Serve right away! Hmm, was this ever good? Wow. I think I’ll make it again this week! 1. Rub the chicken breasts with the seasoning salt, cover and refrigerate for 30 minutes. 2. 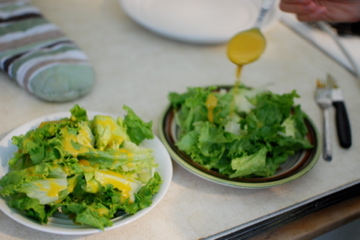 In a medium bowl, combine the mustard, honey, corn syrup, mayonnaise and dried onion flakes. Remove half of sauce, cover and refrigerate to serve later. 3. Preheat oven to 350 degrees F (175 degrees C). Place bacon in a large, deep skillet. Cook over medium high heat until crisp. Set aside. Saute the mushrooms in the same skillet until tender; set aside. 4. Place the breasts in the skillet and saute for 3 to 5 minutes per side, or until browned. 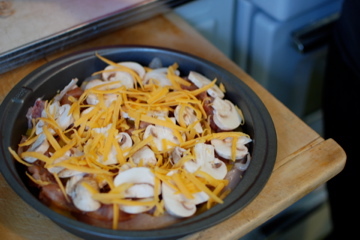 Remove from skillet and place the breasts into a 9×13 inch baking dish. 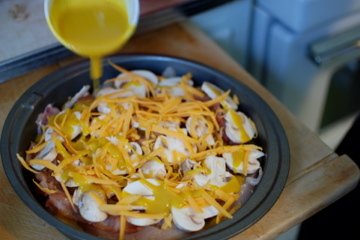 Apply the honey mustard sauce to each breast, then layer each breast with mushrooms and bacon. Sprinkle top with shredded cheese. 5. Bake in preheated oven for 15 minutes, or until cheese is melted and chicken juices run clear (if you use thin cutlets, they’ll already be cooked through, so you just need to bake them for 5 minutes, or until the cheese is melted). Serve with the reserved honey mustard sauce. In honor of sugar month (Les temps des sucres au Quebec), I decided to make one of the most traditional French Canadian dishes, to celebrate my heritage. Live local Alberta’s Eat Local First initiative were very generous to my endeavor and provided almost all of the local ingredients for this meal. 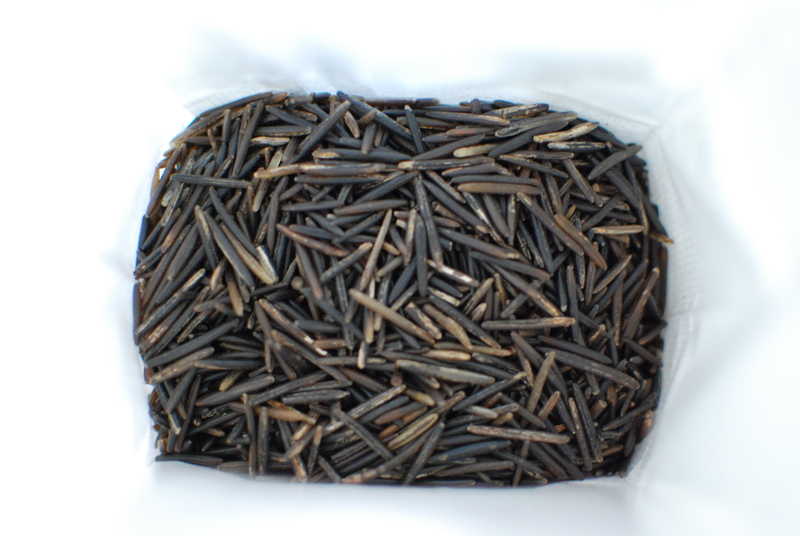 Did you know that you can get locally grown and dried beans in Alberta? Yea, I didn’t know that either! 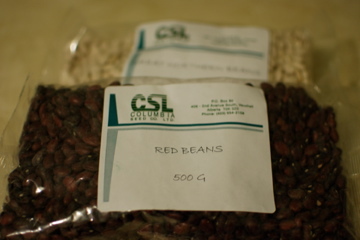 Eat Local First sells beans and seeds from Columbia Seed Company, where you can purchase chickpeas, as well as black, red, and white beans! 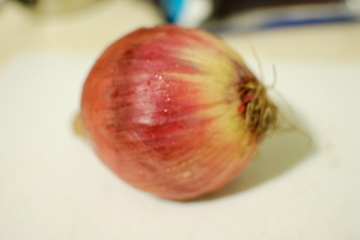 The recipe was actually really simple, and didn’t take much more than the beans, the bacon and this onion. 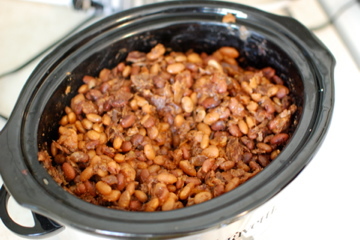 I let the beans soak overnight in the crockpot. Warning! They will double in size when left soaking. Strangely, some of the beans didn’t expand in the first soak. This was because the larger ones choked out the smaller ones, not letting them expand. 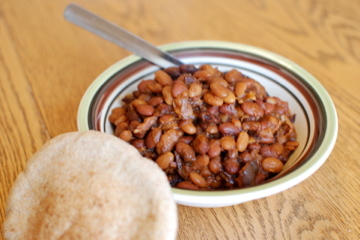 You may want to put all the beans in a larger bowl (or two separate bowls) and add double the amount of water, so that all the beans are able to absorb it! I let the beans cook on low for 10 hrs while I was at work, and ta da! Don’t they look amazing? Enjoy! This dish reminded me of the community league Cabanne a Sucres from my childhood. Delicious! 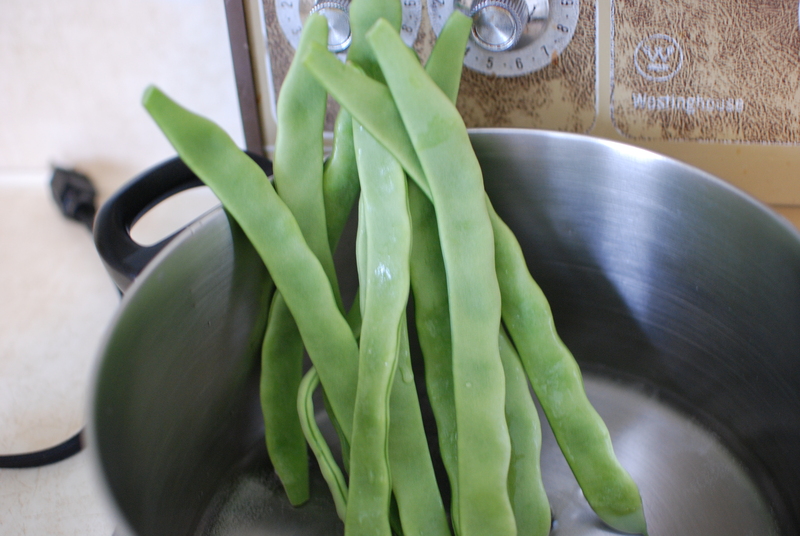 Soak 2 cups of bean in water over night, or in the morning. The beans must have soaked a minimum of 6 hours. For those who have never soaked beans, pour the beans in to a bowl and cover beans with water. Water should be at lease 1/2 inch to 3/4 of an inch above beans. This allows beans to absorb enough water with out getting dry. 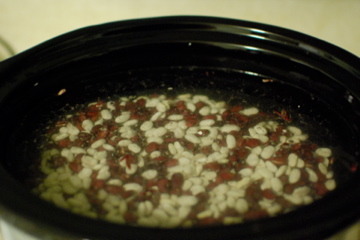 Strain and pour the beans in the crockpot. Slice your bacon I use scissors if it is completely unthawed medium to thin slices. Chop onions to your preferred size I like Medium, and chop garlic. Add to the beans. 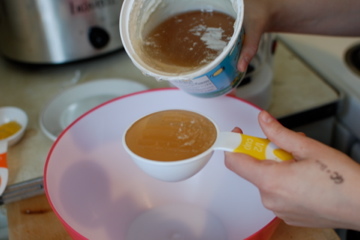 Pour water into a bowl and mix remaining ingredients in the water and stir. Pour over beans and mix well. Cover turn on LOW and cook 8 to 10 hours. 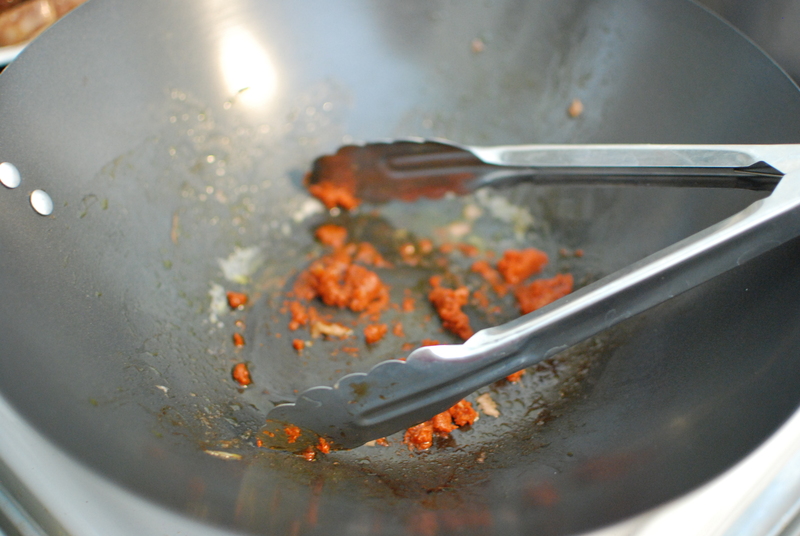 DO NOT LIFT THE LID, only when it is close to the end of cooking time. Take a test and see if you like the texture, if not cook for remainder time. 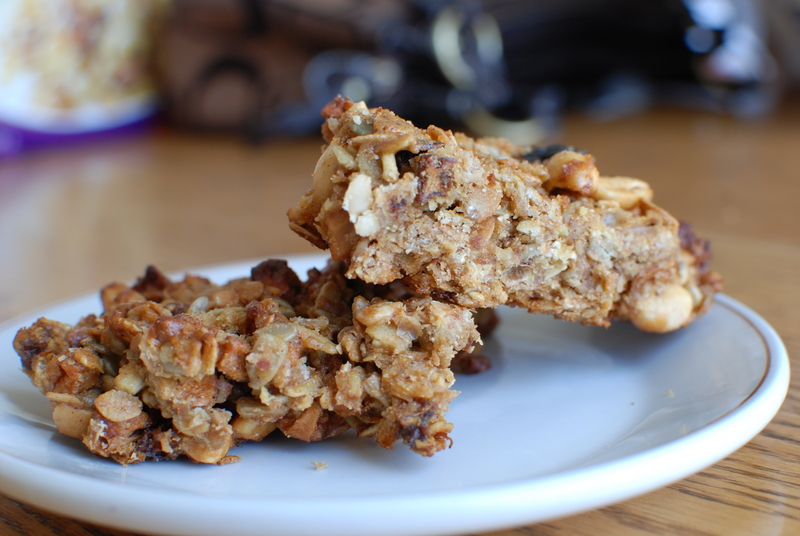 As the base that held the granola bars together, I used two local ingredients: pure, unpasturized unfiltered, locally produced raw honey, and Mighty Trio Organic‘s locally produced organic canola oil. I also used peanut butter. Really, these are truly amazing bars. I know, the base doesn’t look too pretty, but trust me, it tasted amazing!! By the end, all the ingredients looked golden and crisp and amazing! This makes for a perfect grab-and-go snack, without all the cradboardy taste. Homemade granola bars can be customized to suit your taste with any kind of nuts, seeds and dried fruit (chopped dark chocolate or chocolate chips can also be added). If you’re sending the bars to a nut-free school, replace the nuts with more seeds or dried fruit. If you don’t have oat flour, make some by pulsing oats in a food processor until powdery, or try substituting brown rice or quinoa flour. Wrap cooled bars individually and stash them in a jar on the countertop to grab and go. 1) Preheat the oven to 350°F and spray an 8” x 8” pan with non-stick spray. 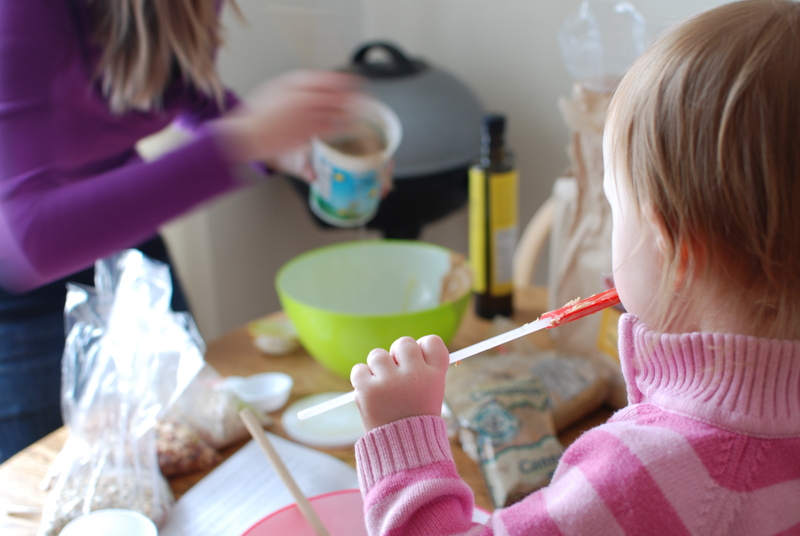 2) In a large bowl, stir together the oats, brown sugar, oat flour, salt and cinnamon. 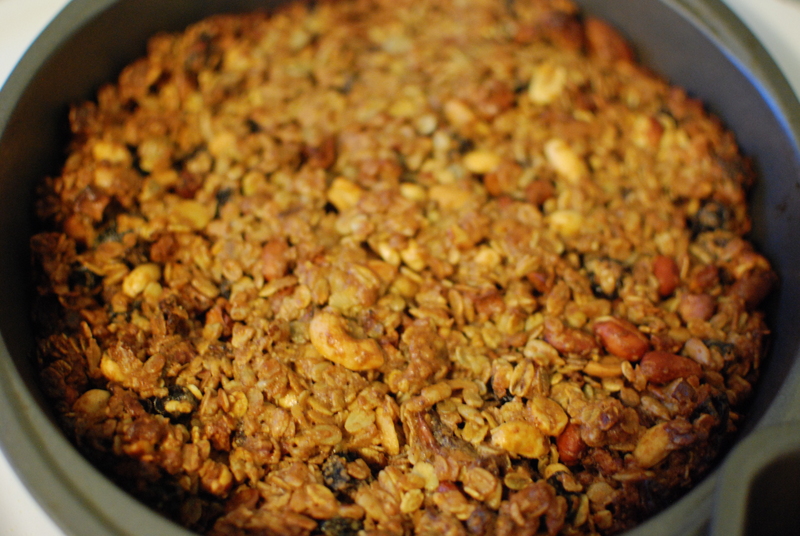 Stir in the nuts, dried fruit and seeds. 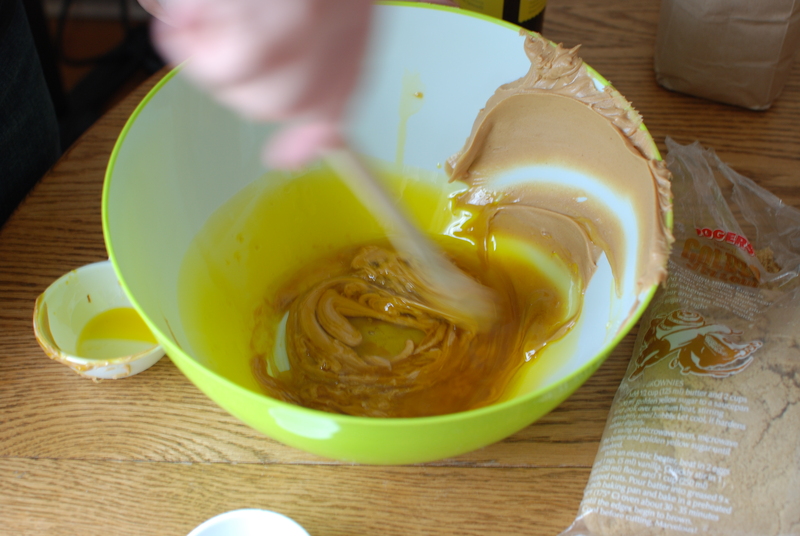 3) In a small bowl, whisk together the canola oil, peanut butter, honey, egg and vanilla. Add to the dry ingredients and stir until well blended and crumbly. Press firmly into the prepared pan. 4) Bake for 25-30 minutes, until set and golden around the edges. Cool completely in the pan on a wire rack before cutting into squares or bars. Eat Alberta Conference – AKA: an epic day of local foodie awesomeness! Have you heard? Slow Food Edmonton is hosting a conference to Celebrate Local Food Heroes! The minute I read my emails on Monday morning, I signed my mom and I up. A whole day of hands-on local foodieness? Yes PLEASE! I am excited beyond words, and really think you should all take the chance to participate in this awesome experience! There will also be opening and closing keynote sessions on urban gardening and urban homesteading, respectively. · Saturday, April 30: 8:30 a.m. to 5:00 p.m. When: Saturday, April 30, 2011, 8:30 a.m. to 5:00 p.m. Seriously. You should go. I wouldn’t miss this for the world! 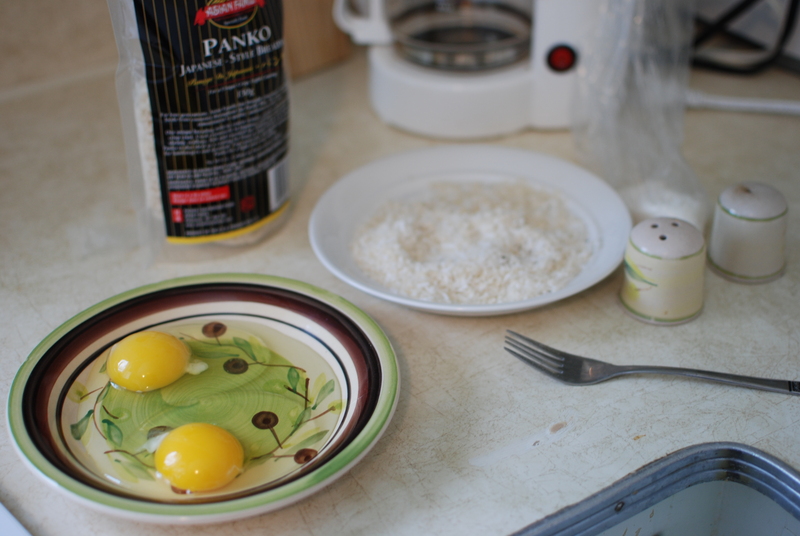 For the coconut shrimp, you will need an egg or two (one egg would have sufficed for how many shrimp I had), and a mixture of panko bread crumbs (or any other breadcrumbs you have around the house. Crushing up crackers will also work! ), dried coconut, and salt and pepper. 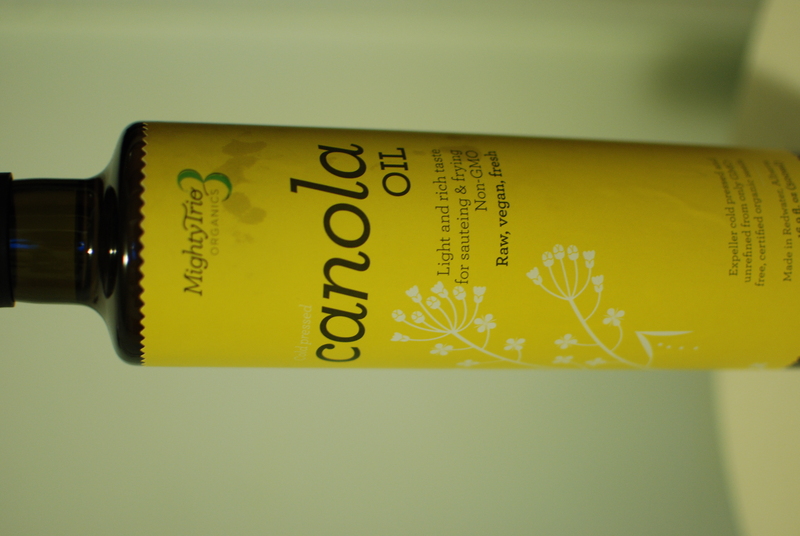 For frying, I invested in some local and organic canola oil (which came out to be huge value of my money, I think). 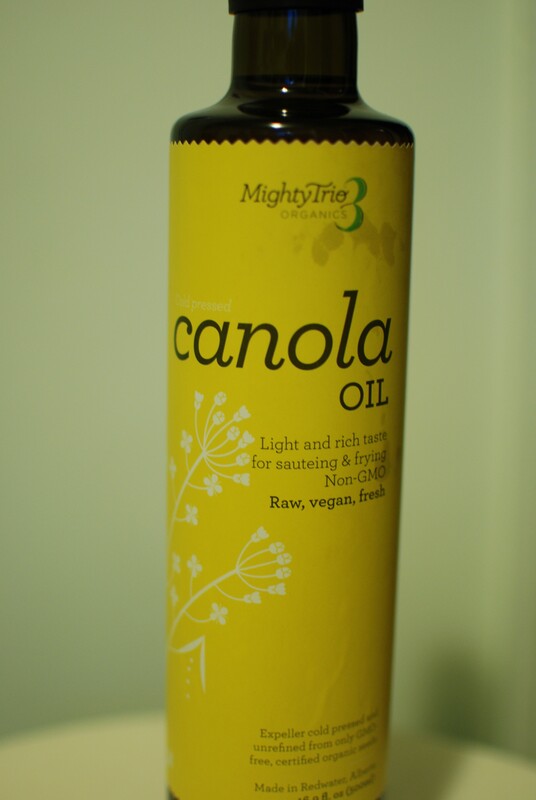 Made with polish canola seeds, which are naturally free of GMOs, Mighty Trio Organics grows their canola seeds and produces their canola oil right outside of Edmonton. 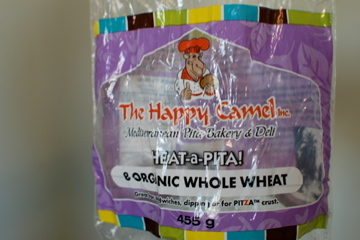 They sell their products at the Old Strathcona Farmer’s Market and through eat local first’s Good Food Box. 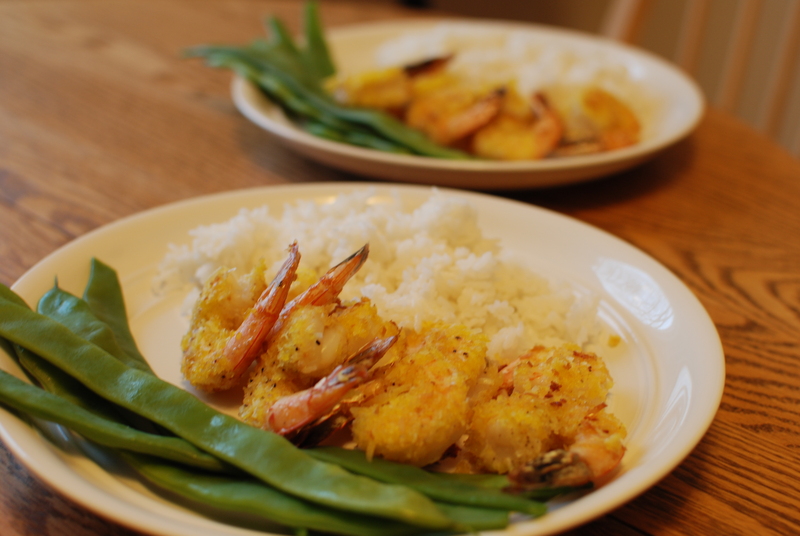 There is a step by step process to making coconut shrimp, and I believe I have finally mastered the art. It’s a matter of making your assembly line efficient. 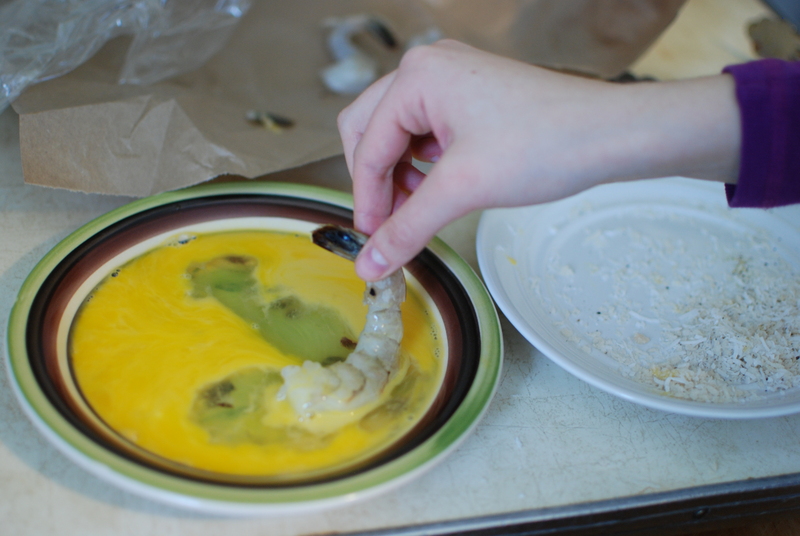 First, dip the shrimpy in the egg, and make sure that it is coated well. Next, dip it in the panko breadcrumb and coconut flake mixture. Again, make sure the shrimp is coated well. 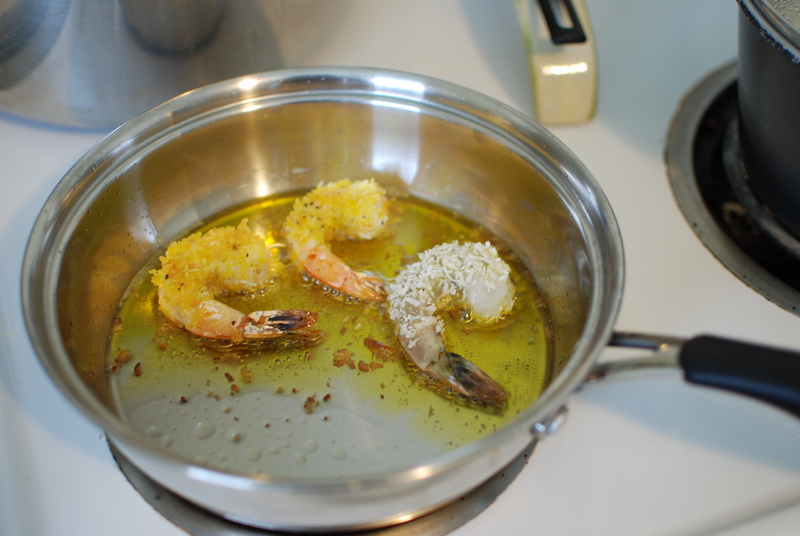 Place the shrimpies in a deep frying pan, after having let the oil heat up for a bit first. Flip them over when the shrimpie’s tails start to turn pink, and they start to curl up on their own. Tada! Now don’t those look delicious?! 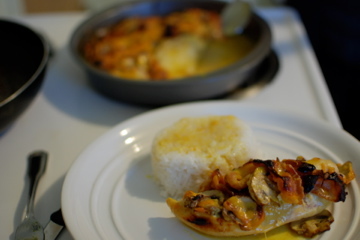 I served them with coconut Jasmine rice (sooo good). You can also serve the shrimp with dipping sauce, but I feel they stand well on their own. What a nummy dinner in celebration of the return of spring!! 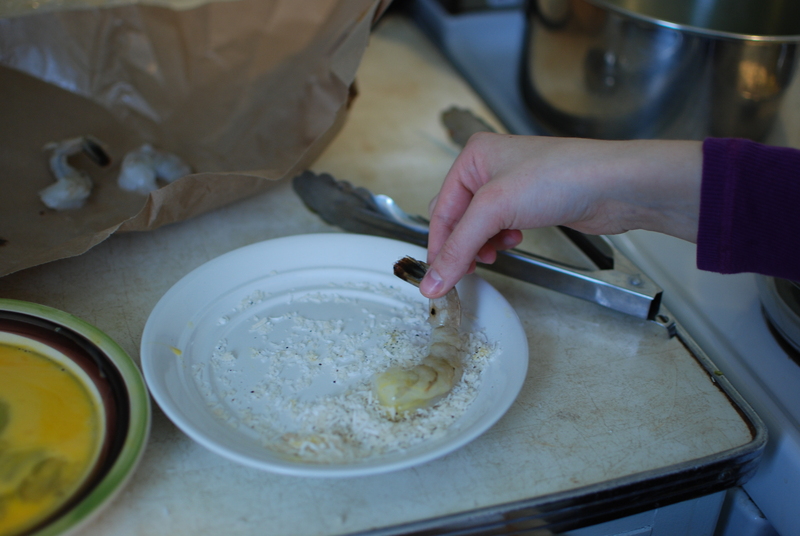 In a large bowl, mix the coconut and panko bread crumbs together and and salt and pepper. Place, in a shallow bowl or small place, the bread crumb mixture. In a second bowl, whisk the eggs. Rinse shrimp and pat dry with paper towel and dip shrimp in the egg, holding each shrimp for a few seconds above the bowl to let excess egg drip. Next, coat the shrimp evenly with the bread crumbs. Place the shrimp on a plate until you’re ready to fry. If using a deep fryer, preheat to 350F. Fry for about four minutes until golden brown. I used a deep frying pan with 1.5-2 Tablespoons of canola oil. It worked well, and it did not involve deep frying! 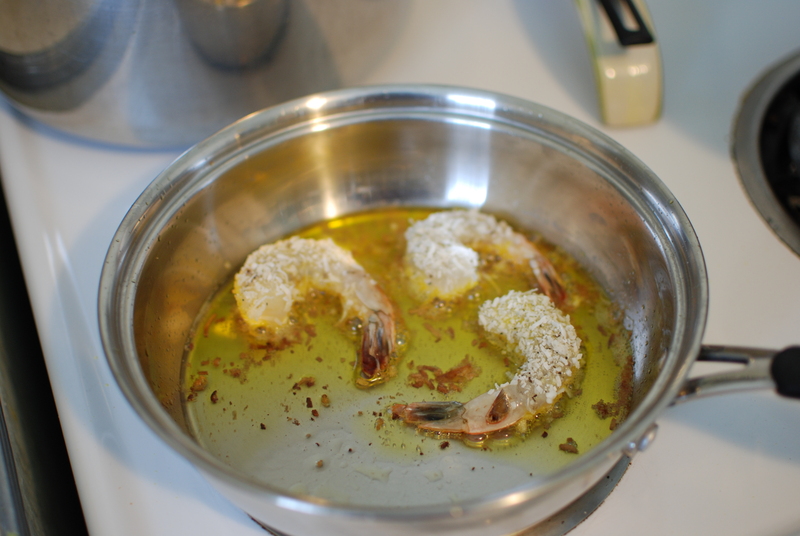 Set the fried shrimp on paper towels for one to two minutes to drain off excess grease. Serve hot with coconut Jasmine rice. Rub oil over the bottom of a deep-sided pot. You will also need a tight-fitting lid. Place rice, coconut milk, water, shredded coconut, and salt in the pot and set over medium-high to high heat. Stir occasionally to keep rice from sticking to the bottom of the pot and burning. Once the coconut-water has begun to gently bubble, stop stirring and reduce heat to low (just above minimum). Cover tightly with a lid and let simmer 15-20 minutes, or until most of the liquid has been absorbed by the rice. To check, pull rice aside with a fork. If most of the coconut milk-water is gone, go on to the next step. Replace the lid and turn off the heat, but leave the covered pot on the burner to steam another 5-10 minutes, or until you’re ready to eat. Tip: Your Coconut Rice will stay warm this way for up to 1 hour or more, great for when you’re expecting company! When ready to serve, remove the lid and fluff rice with a fork or chopsticks. Taste-test the rice for salt, adding a little more if needed. Serve right out of the pot, or transfer to a serving bowl. 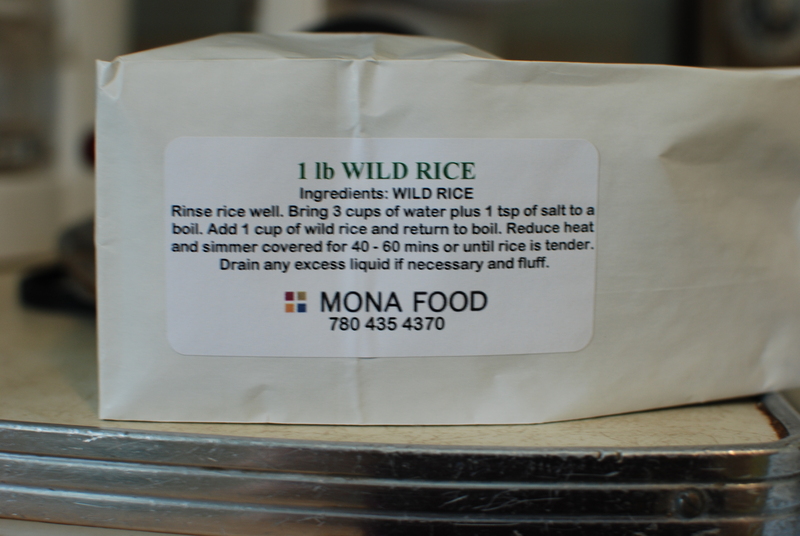 This rice is excellent served with a variety of both Thai and Indian dishes, such as curries or seafood recipes. If desired, top your rice with a sprinkling of toasted coconut and ENJOY!